shinichi / 真一 ... just call me Shin! By: shinichi / 真一 ... just call me Shin! San Diego sunrise on October 29, 2007. The city is getting back to normal in the aftermath of fires. 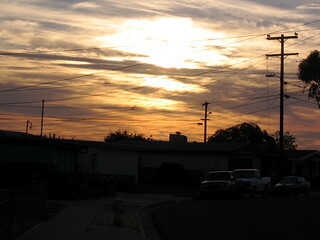 Taken street in Mission Village (uphill from Qualcomm Stadium).